Cassaday, Casada, Cassity: Why So Many Variations of Cassidy? 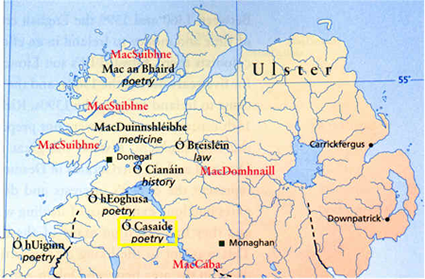 Cassidy — O’Cassidy — O’Caiside is an ancient Irish name. But why are there so many variations of the Cassidy family name, especially in America? Many of these variations are common in the American South, and increasing in the Midwest. In the late 1700’s and early 1800’s, Cassidys and Cassitys landed in Virginia and moved west into Indian territory, playing leading roles in the formation of the states of Tennessee, Kentucky and Alabama. Post famine, another wave of Cassidys came to America, with many settling in the industrial centers of the North, along with smaller towns in the Northeast. And even in Ireland one will find variations on the Cassidy surname as this gravestone for Patrick Cafsidy on Devenish Island shows. 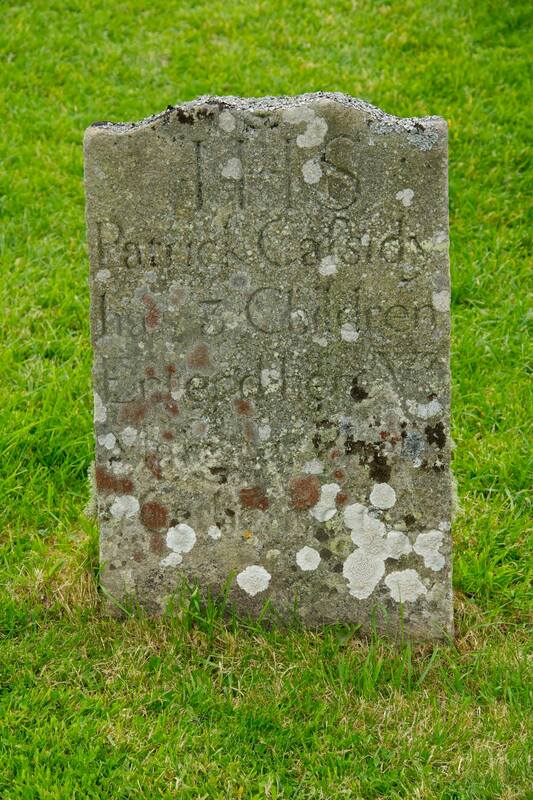 Gravestone of Patrick Cafsidy on Devenish, Island, County Fermanagh. How and why did so many variations of Cassidy of develop in America? Why so many Cassidy variations? (1) Immigration officials who weren’t wonderful spellers; and (2) Spelling the name as they heard the people pronounce it. Caiside in Irish is CAW-SHI-DUH. Casada was my grandmother’s maiden name, and the photos, letters and Bible pages that my mother had treasured formed the beginning of my family search. The first “new” relatives that I located, back in those pre-Internet days, were from the Casada branch. My daughter suggested that I use the Michiganers’ “Cassada” with 2 SS’s, thinking it would help folks to pronounce it better. That doesn’t seem to work, but it does attract interest, and at the office of the doctor, dentist, any one at all with multiple Nancy Nelsons, I do stand out. But I sometimes regret that I didn’t retain our “classic” spelling of Casada. I know that my great grandfather signed his name that way and it appears that his father and grandfather did so as well. My East Tennessee grandmother spelled her name Casada and pronounced it “Cassidy.” Family who went to Iowa in 1840’s apparently retained pronunciation; spelling there is now Casaday or variations thereof. Folks who went to Michigan in early 1900’s spell it Cassada and say “Cass Uh Duh”. Only one generation removed from the East Tennessee folks, they are real surprised to learn the “correct” pronunciation. You read all kinds of dramatic and involved stories about “why Uncle Jim changed the spelling” — I think that even those who could read and write in the 19th century didn’t think the spelling was that important. And, of course, just because it is spelled a certain way by a census taker in 1870, doesn’t mean anyone else ever spelled it that way. Here’s something I’ve read & it seems to hold up: when you find deeds, wills, etc in the courthouse, what you are finding is a copy of the original made by a clerk. The clerk also copies the signatures at the bottom. That’s why you find that little drawing that says “seal”, the original had the seal. The name within the document may be spelled however this clerk, or the one who wrote the original deed, thinks it should be spelled. The signature or signatures should have been copied exactly as they appeared on the original and are thus the way your ancestor spelled his name. That day, at least. Different Cassidy spellings are because the original name is Gaelic and English “translations” of that vary. Pronunciation also varies slightly. Think of how differently the same word can be pronounced in parts of the U.S. And the further back you go, the more unreliable spelling is. Ever see how many ways Will Shakespeare signed his own name? People just weren’t as hung up on a “correct” way. Then you get people who can’t read and write (and many of the early immigrants could not), telling their name to some county clerk who barely could, and he wrote what it sounded like to him. Along the way at some point, a spelling “stuck” to a particular branch of the family and they all started (mostly) using the same spelling. But often within the family you will find a record in another spelling, or Uncle Harry who decided to spell it with an “e” or an “a” or a “t” or whatever. The point is, don’t discount a record solely because the name is spelled differently than you spell it today. This is also a great analysis. An example of an Irish name this happens to is Bradley, which was my grandmother’s name. When you’re in Ireland, they pronounce it “Brolly” and no matter how many times you say “Bradley” they come back at you with “Brolly.” So then you see the name spelled “Brolly” and it’s the same name. I was born in Danville, Virginia in 1968, have lived in Virginia all my life. I am currently living in Roanoke Virginia. My father died when I was 6 months old, and my grandfather shortly thereafter. So, any information of my history has always been hard to come by. My family had always been tobacco farmers until a few years back. No records were ever kept due to most deliveries being done by midwives rather than at a hospital. All my life I have been curious of my family history. I am the only remaining Cassada in my family. For years I have dealt with the public mispronouncing my name. I’m told the correct way is Cas-uh-duh. Even though I am fair skinned with red hair, I still never new much because the spelling of my name is very difficult to find in genealogy searches. I was shocked to find the web site about the Cassidy history and my last name included as possible descendants. Thank you so much for your efforts. At least now I can say without a doubt that I am from an Irish background. In your lead paragraph about the variations of the name Cassidy, you mention Cassity as being early settlers in Tennessee and Kentucky. The “ty’s” also came to Alabama before Alabama became a state. There are many records of James, Charles, Hugh, John Cassity in the area that became Clarke County, Alabama. In addition, I came across a Peter Cassity in the area. These men came into the Indian Territory with passes on more than one occasion, which meant that they traveled back into Georgia or some other State. I have not found records of their leaving the territory. Permission to leave was probably not required, but some of them did have more than one pass to come into the territory. It has interested me as to why they went down to the area that later became Clarke County, Alabama. That area is quite a distance into the state. Maybe they were deep into Georgia and just came across into the area and not down as I had supposed. They have stayed in the Clarke County, Alabama area until this day. Of course, some moved to Mississippi and beyond and into Mobile, Alabama, as did my father-in-law. This is my husband’s family and I would really like to fill in some blanks. They have retained the spelling for the most part, although I see Casity and Casety in some of the legal documents. My family comes from Halifax and surrounding counties, in Virginia, USA. We spell the name Cassada and pronounce it CASS-uh-duh. Our family tradition says that our earliest ancestor in America came from Ireland, but I have often wondered how that could be, as there doesn’t seem to be a name by that spelling in Ireland. Information I recently found on the Cassidy Clan website helps me to understand some records that others in my family gathered from county courthouses decades ago. The tithe (tax) records of Lunenburg County show that in 1748 one J. Stuart, owner of a settlement (farm) in what is now Charlotte County, paid tithes for a Wm. Casedy, a male over the age of 16 living on the Stuart farm. In 1749 in the same area James Stuart paid tithes for Wm. Cassady. In 1750, again in the same area, William Cassaday is listed as a principal tithe payer, with no males over 16 living on his farm. I would assume that William was an illiterate tenant on the Stuart farm, and may have bought that farm or a part of it by 1750. Since he could not spell his name, the tithe-taker spelled it the way he thought he heard William or J. Stuart pronounce it, with the result that the same tithe-taker spelled the same man’s name three different ways in successive years. Marriage records from the same county list a Casady in 1787, a Casaday in 1806, and a Cassida in 1825, making at least seven spellings of the name of what was probably the same family! I suspect that when the first member of the family learned to read and write, he took the spelling from whatever official record happened to be handy, and it has been “set in concrete” ever since.I recall my uncle telling me that when he was a child (in the 1930’s or early 40’s), he pronounced the name of Cassada as “Cassidy” until a relative pointed out to him that it was not spelled that way, and should be pronounced “CASS-uh-duh”. I’m sure my uncle did not dream up that pronunciation of his name, he must have learned it from his parents and other family members. Unlike our early Irish ancestors, modern Americans generally believe that every word (especially a name) has one “correct” spelling and pronunciation that never changes. It is easy to understand how a family member just a couple of generations back could have assumed that the way we spell our name today must be the way it has always been spelled, and that the pronunciation must match the spelling. With the insights gained by reviewing the Cassidy Clan website, all this begins to make sense, and I now understand that we are a branch of the Irish Cassidy clan. I wish that earlier generations of my family could have had access to the Cassidy Clan website years ago when they were researching our family history. It is a terrific resource for information that goes beyond our small section of Virginia, and has answered a lot of questions about who we are and where we came from. Thank you, to everyone who has contributed to this wonderful resource. Here is my opinion: Very many members of our distinguished Clann left Ireland in the 1800’s. Some left voluntarily and others who were forced to do so by the action of ruthless landlords. 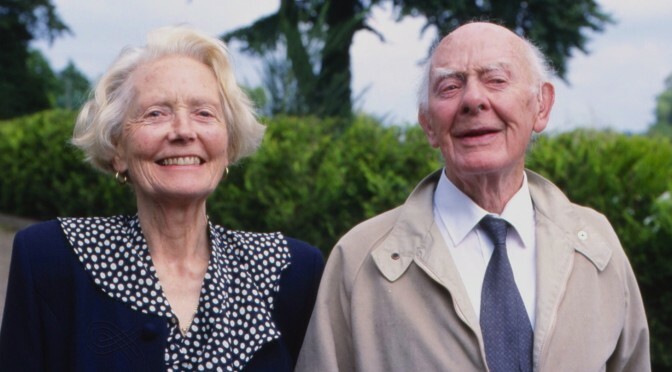 Most of them had been living in conditions of abject poverty. They would have had no schooling and would therefore been unable to read or write. What is the point in been able to read if you have nothing to read or write, no books, no papers? These people worked morning, noon and night on really small mountainous farms in conditions that were nothing better than slavery. Immigration Officer: How do you spell that sir? Immigrant: Sorry, I can’t read or write or spell. At that stage it was left entirely to the imagination of the immigration officer as to how Cassidy might be spelt. I imagine that Hugh Cassidy would have been handed a document at the end of the process with his name written on it. For the first time ever Hugh Cassidy would have his name in print. He would then probably have adopted that spelling and passed it on to his descendents. The important thing is that all of these spellings are derived from the original Irish name, O’Caiside. Hope that this interpretation is useful to Cassidys wherever in the world you may be and what ever spelling your ancestors adopted for you. What is your view? Please share your comments with us? I know cassidys in Ardara, I can ask the question the next time im up there . Calvin, my father was born in Bath County, Kentucky, 1928. To William Goebel Cassidy and Lottie Bell. Not sure where or when he changed the spelling to TY. His brother and sister both used DY in their last names. My name is Jonathan Casady, yet another variation of the name, and as I understand, my great Grandfather Cassady owned a store in Lafayette, TN and being either quite poor or just “cheap”, he didn’t wan’t to pay more than he had to to have the name painted on the front of the store. As the story was told to me, the sign painter charged by the letter, so my great Grandfather decided to save a little money by dropping an “s”, which he probably saw as redundant anyway. So that’s my story of how I got my unique “Casady” name! My family is from Marengo County, Alabama (just above Clarke County as mentioned earlier). My father is Calvin. His dad died before I was born, so I do not know much about our family tree. Patricia Gentry Cassity, I enjoyed reading your message. My father’s roots were in KY. Down there, folks say “Cassidy” (even with the “a” at the the end of our spelling). Up here in Ohio, however, we say “CASS’uh-duh”. I was in the U.S. Navy & we had an Irishman on board our ship (he grew up in Ireland). He told me that he knew Cassadas in Ireland that both spelled it as “Cassada” and pronounced it EXACTLY as we do in Ohio = “CASS’-uh-duh”. Otherwise, I think the different spellings had to do with whoever was signing up Irish folk when they came into the USA (as others have mentioned). One Irish person may have pronounced it (the Gaelic “CAW-shi-duh” or “CAW-shi-daw”) differently. The variations were likely due to different Irish folk having different accents = how it was “heard” by import personnel, then translated (as it were) into English.